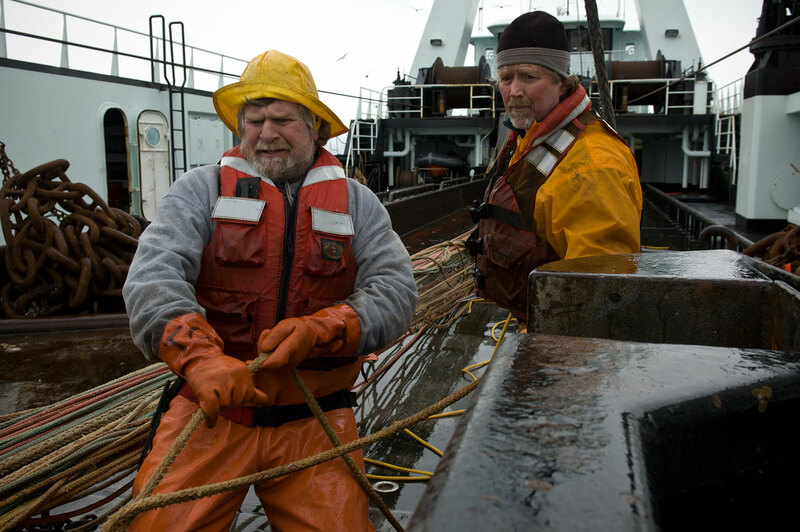 Aboard the fishing vessel Auriga, in the Bering Sea. The Auriga is a catcher vessel, 198 feet long and able to carry 570 metric tons (about 1.25 million pounds) of fish. Photograph taken on the Bering Sea in full gale to hurricane conditions -- a usual winter work environment for Alaskan fishermen.